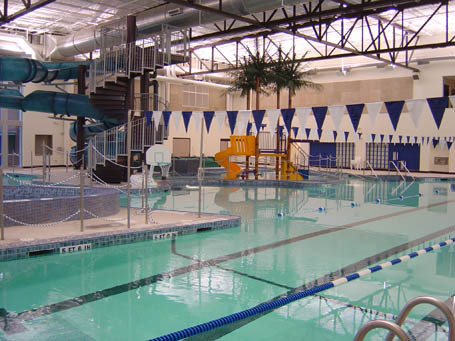 In 2001, the City of Keller retained the team of Brinkley Sargent Architects and Counsilman-Hunsaker to perform a Feasibility Study for the development of a new recreation center to support the city’s competitive, recreational, and fitness needs and objectives. Four design concepts were developed, each with varying degrees of emphasis on aquatic and recreational program spaces. In 2012, the Counsilman-Hunsaker was retained to complete an operational audit of the existing facility to identify opportunities for improvement. The study process included meeting with 25 stakeholder groups, a telephone survey of 300 households, and a detailed evaluation of the operations of the facility. The findings included tactical recommendations to maximize operations and options for future development to retain The Keller Pointe’s position in the market as an operation leader with a first-class facility while achieving generating revenue to cover 100% of its operating cost. This facility has been featured in several magazines and has won multiple design awards including the most recent award in 2013, ‘Best of Aquatics’ Award from Aquatics International magazine.